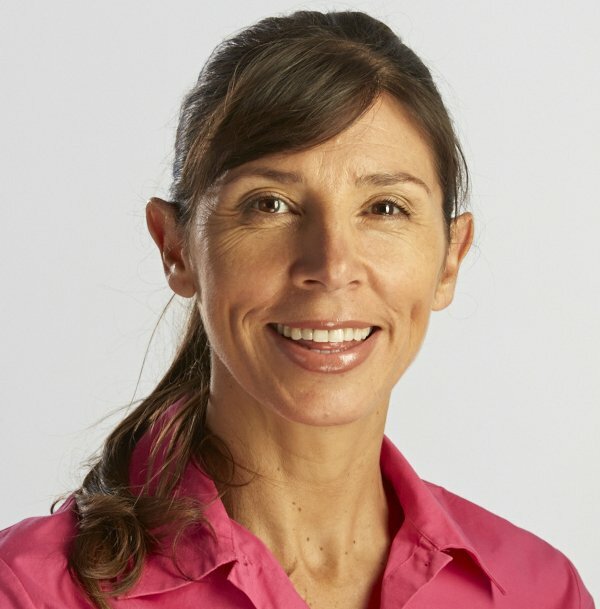 ‘Osteoporosis Exercises Spine Strength’ is an online 10 minute exercise video presented by Michelle Kenway Physiotherapist. Michelle demonstrates a series of mid spine strength exercises ideal for home-based bone density exercises. Protect the pelvic floor with exercise. Who is Suited to ‘Osteoporosis Exercises Spine Strength’ Video? These exercises for osteoporosis are appropriate for most women with normal BMD and most women with moderate fracture risk (T score between -1 SD and-2.5 SD). Women with a high fracture risk (BMD below 2.5) with or without fracture(s), and or mid spine pain are advised to seek their doctor’s approval before commencing these or any strength training exercises. These exercises are suited to women with pelvic floor problems wh seek pelvic floor safe bone strength exercises including women with pelvic prolapse, incontinence and after pelvic surgery. Push back/mid back strength exercise using dumbbell weights. These exercises for the spine are designed and presented with step-by-step physiotherapist guidance. The format of these osteoporosis exercises is based on recent scientific research into those exercises most effective for bone health and osteoporosis of the spine. They require very little equipment and can be performed at home. Note to ensure the smooth viewing of the video, it is recommended that you press on this play arrow and then when the video starts loading you press the ‘pause’ button until you can see that the entire video has loaded. This will help avoid the video stopping to load while you watch. If you have been diagnosed with decreased BMD (bone mineral density) you are probably aware that weight training is often prescribed to improve BMD. Heavy resistance training poses a big problem for women with pelvic floor problem such as prolapse or incontinence OR previous pelvic floor surgery such as prolapse repair, hysterectomy or incontinence surgery. Resistance training with heavy weights and the wrong strength training techniques can make pelvic floor problems much worse. Resistance exercises can be harmful for women who have had pelvic surgery. Take care with the resistance exercises that you undertake and also use the correct technique for bone strength exercises to protect your pelvic floor and improve your bone health, especially if you also have pelvic floor problems. 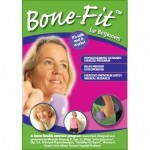 For more information on how to exercise safely improve your bone health refer to Bone-Fit for Beginners a complete 30 minute physiotherapist-guided professional osteoporosis home exercise program. Thank you for the exercises. They have really helpful during my recovery from a TAH in March. I am due to see the consultant again in September to discuss a prolapse repair (rectocele). I had bulging before my hysterectomy and have lost a lot of strength in my pelvic floor since the op. Do you think a gyneacologist is the best surgeon to preform this op or is it best to seek a second opinion from a surgeon who specialises in that field. Thank you for your comments and questions. Yes I agree that being bloated with too much fibre (insoluble fibre that doesn’t break down readily) can have an effect on your bladder. This can be simply due to wind in the abdomen placing pressure on the bladder.